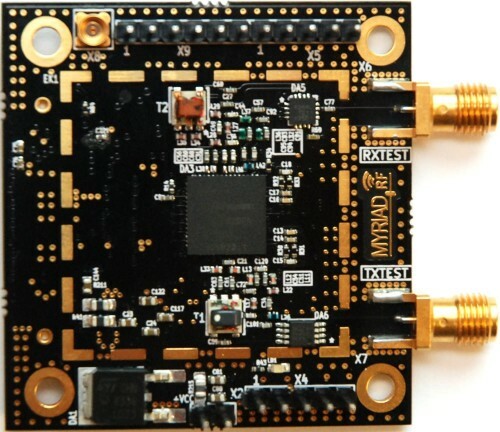 Home » Posts tagged "SDR"
Hvis du vil sette opp et 4G IP kamera, en 4G alarm, eller kjøre amatørradio via 4G remote så må du sette opp 4G ruteren din slik at datatrafikk UTENFRA kan komme inn igjennom 4G ruteren. For å kunne få dette til å virke må du kjenne IP adressen til 4G ruteren din. 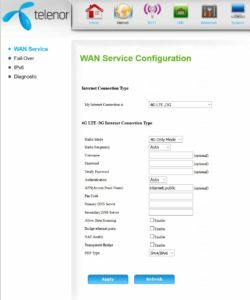 Ringer du Telenor support får du som regel et “god dag mann økseskaft svar”. Ringer du “telenor eksperten”, så får du ofte et nytt “goddag mann økseskaft svar”, men denne gangen må du betale for det! Denne quick guiden omhandler Telenor D-link DWR-961 ruter. Utfordring 1: Telenor har satt opp sine 4G rutere per default slik at du ikke har en egen IP adresse som er synlig på internett. Datatraffikk utenfra blir også stoppet (av sikkerhetsgrunner – som regel har ikke vanlige brukere behov for at traffikk utenfra skal kunne komme igjennom om den ikke er initiert innenfra først). Utfordring 2: IP adressen er ikke fast så den endrer seg hele tiden. Du aner ikke hvilken ip adresse 4G modemet ditt og det utstyret som står tilkoplet på innsiden har…. hvordan skal du da kunne aksessere dette? Viktig: Kun Dyndns (heter nå dyn.com) fungerer. Ingen av de andre dynamisk DNS tilbyderne fungerer. Viktig: du må nå betale for dyndns servicen fra dyn.com (ca 500 kr per år). Dette er det ingen vei utenom (som jeg har funnet i alle fall). Dyndns free service er discontinued så nå må du betale for tjenesten. Og VIPPS, du ser og kan overvåke din eiendom / hytte / whatever på IP kameraet og er i høyeste beredskap til en hver tid! 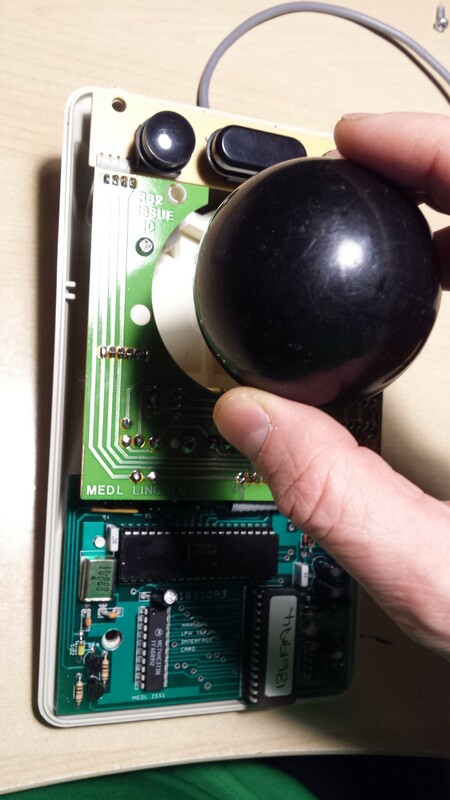 Alarmsystemer, sensorer, styringer osv kan koples til på denne måten. 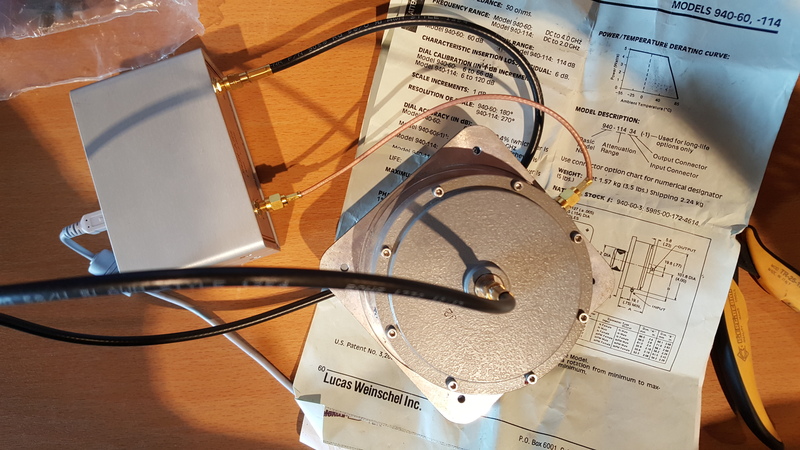 (Om du er radioamatør, så ser du radiosystemet ditt og er klar til å kjøre remote radio). Håper dette var til hjelp. 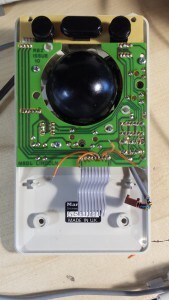 Ønsker du hjelp til en kommersiell installasjon, IoT eller liknende så kjenner jeg firmaer som kan hjelpe med dette. I så fall ta kontakt så kan jeg formidle info. 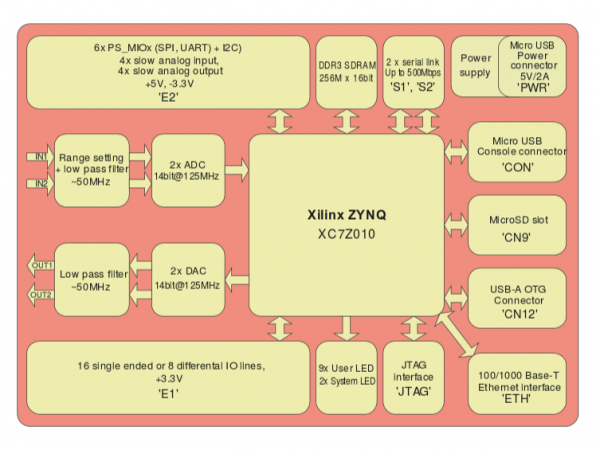 The Red Pitaya SDR board is based on the Xilinx Zync SOC and has 14 bit external A/D converters. However, for SDR usage on the HF bands from 0.1-30 MHz (and for that matter up to 50 MHz) the Red Pitaya is a bit “deaf” in the stock configuration. 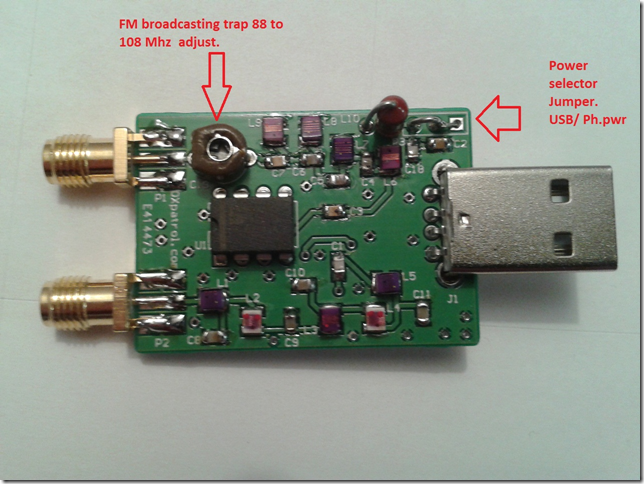 I have made a broadband amplifier that has a fairly high gain and very good IIP3 properties. Below I have posed some pictures of the prototype amplifier. 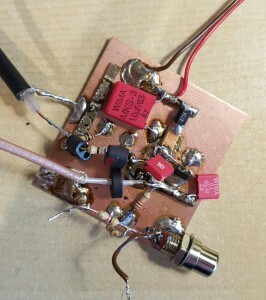 This is the prototype amplifier. I inserted a ferrite ring on the input lead to roll off the VHF / UHF sensitivity to reduce problems with nearby broadcasters etc. 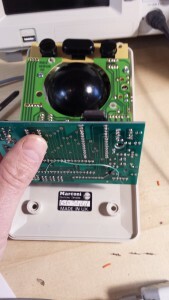 There is a also a PI network attenuator on the ouput and I have inserted a couple of beads in that as well to roll of the outpu response when frequency increases. The other components in the lower part is a input pi attenuator I used when I did some VNA frequency response measurements. This as well as the RCA plus is not used (RCA plugs are surprisingly good for low level RF signal routing in the HF bands and nice to use in the lab). 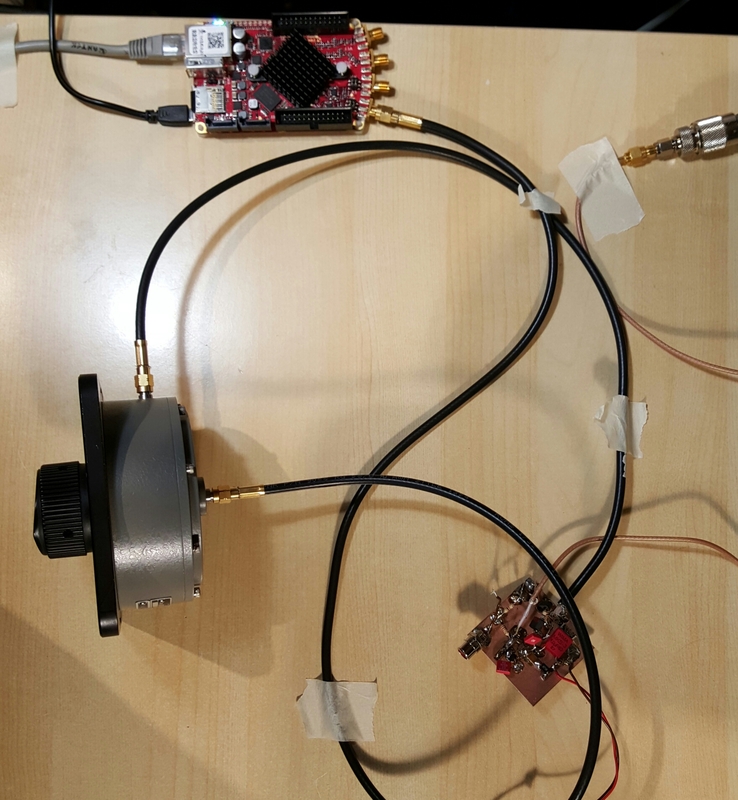 I used a more professional attenuator with a large attenuation range and flat response to determine the proper attenuation level after the preamp into the Red Pitaya. 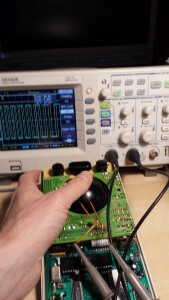 Reducing gain after the first amplifier has very little effect on the noise figure. 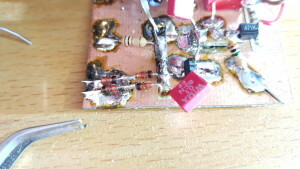 Reducing it before the first amplifier directly adds to the noise figure. 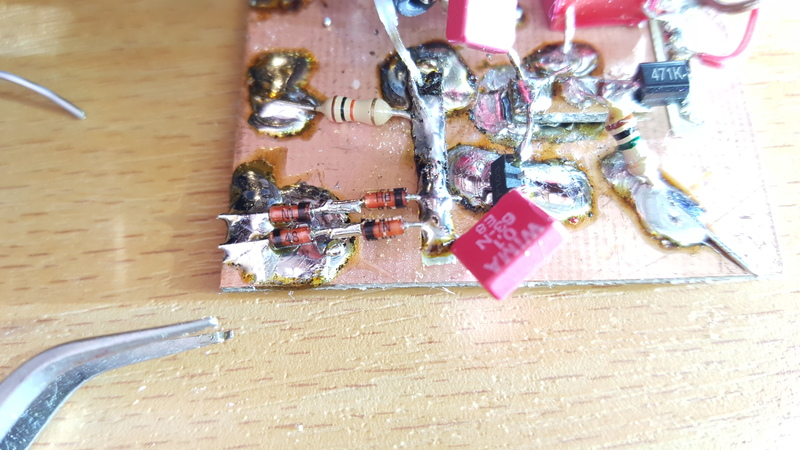 I added some protection diodes over the input to reduce the risk of strong RF signals or static voltage build up damaging the input. Below I am measuring the response of the attenuator with the DG8SAQ VNA. It was flat from 0-1,3 GHz. 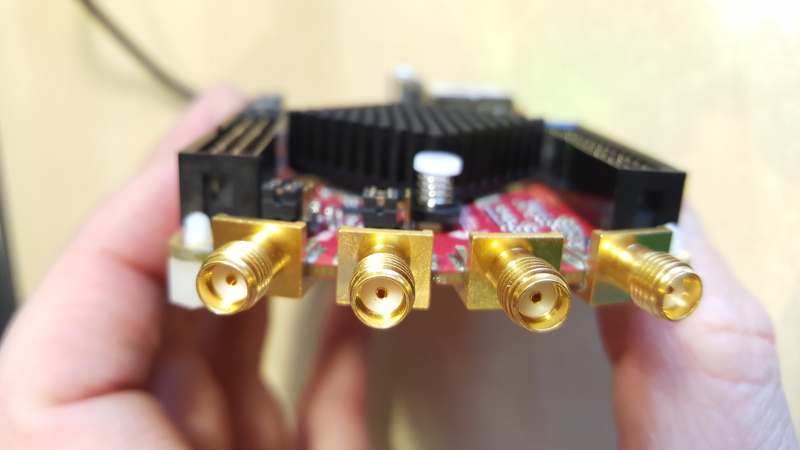 The Red Pitaya hardware is the first low cost RX / TX capable SDR hw to come onto the market that is open source and can match the Ettus Research USRP periperhal. 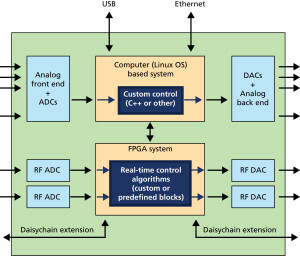 It has a combined CPU and FPGA signal chain with two channels 14 bit 125 MSPS A/D and D/A. 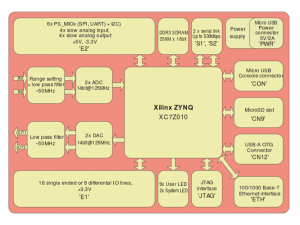 It also has a Dual core ARM Cortex A9+ FPGA (Xilinx Zynq 7010 system on chip). 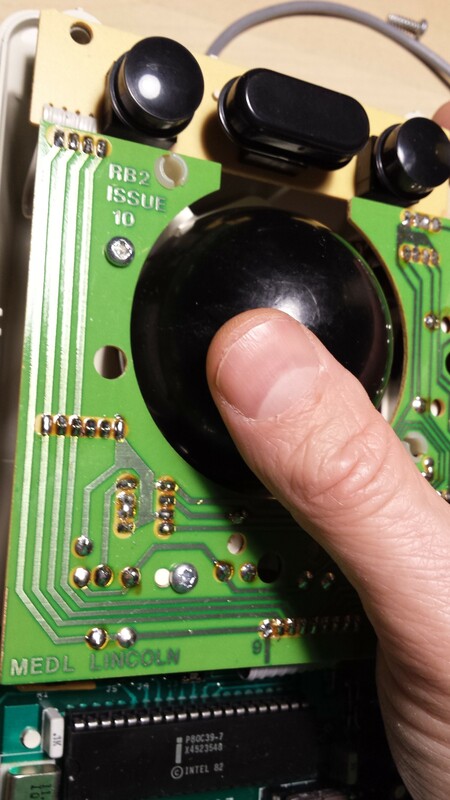 Only a few years ago this caliber of hardware had to be custom designed and was typically used in radar antijamming systems, radar signature classification systems, ultrasound, sonar and in high end vibration analysis tools (as examples). 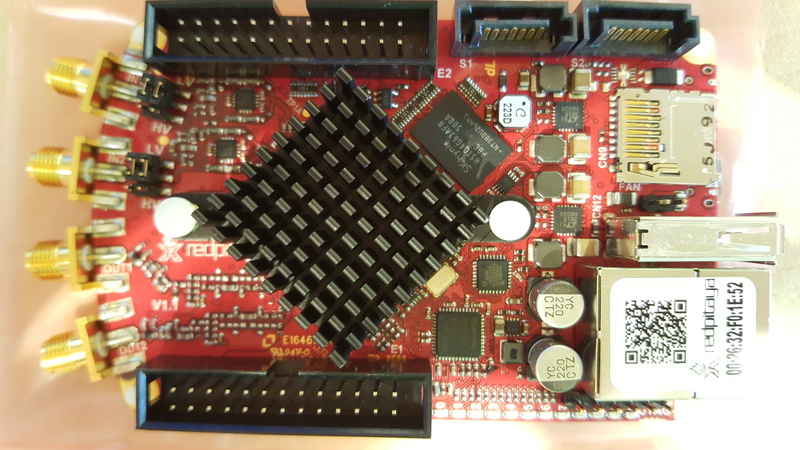 The ARM CPU on board can run Linux and it has GNU-Radio support. 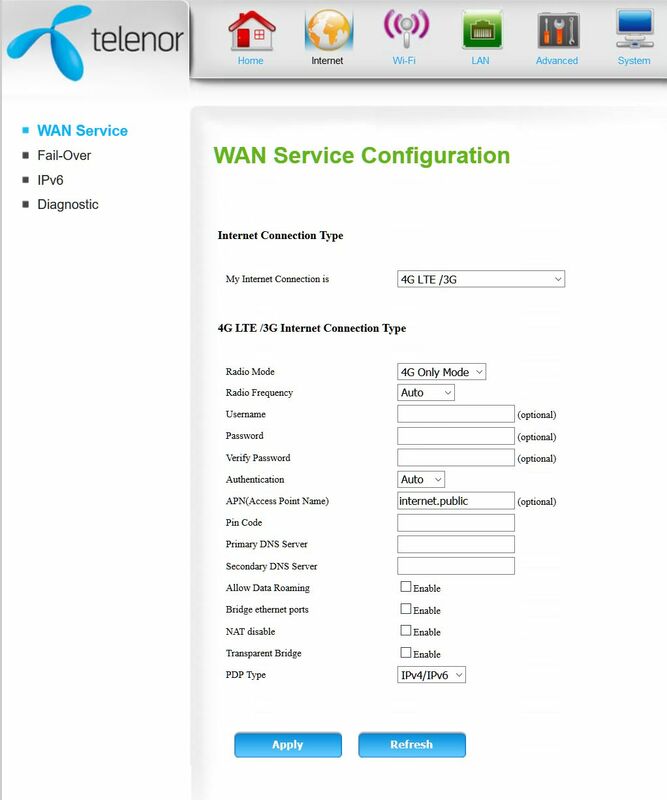 For fast data transfer there is a GBE (Gibabit Ethernet) interface to other host systems. With a a RTOS on the ARM core or a zero copy IP stack under Linux it should be possible to approach fairly close to 1 Gbit/sek transfer rates to host systems (if needed). 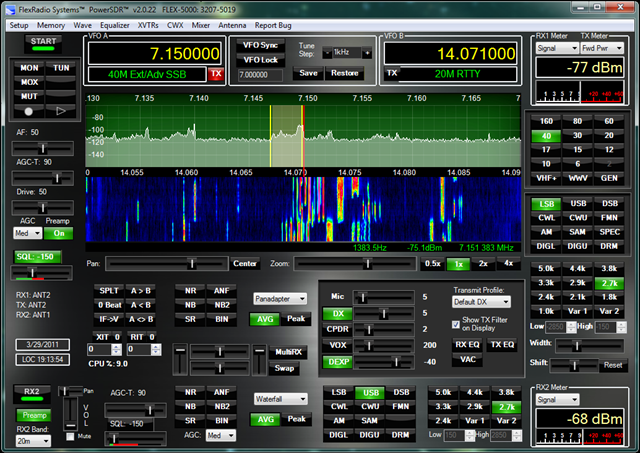 How to install SdrDx: Download zip. Unzip. Make a shortcut to the .exe file. If your Windows firewall gives you a warning, tell it to open up for that program. 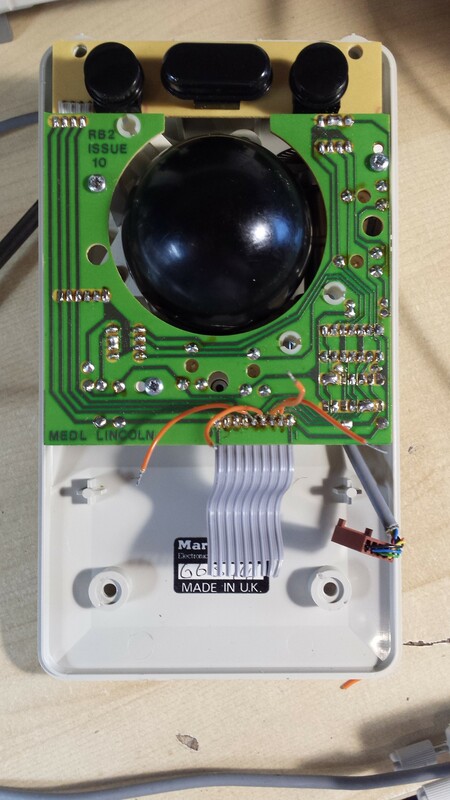 Make sure you have a new firmware installed on your Funcube (see other post for how to update). 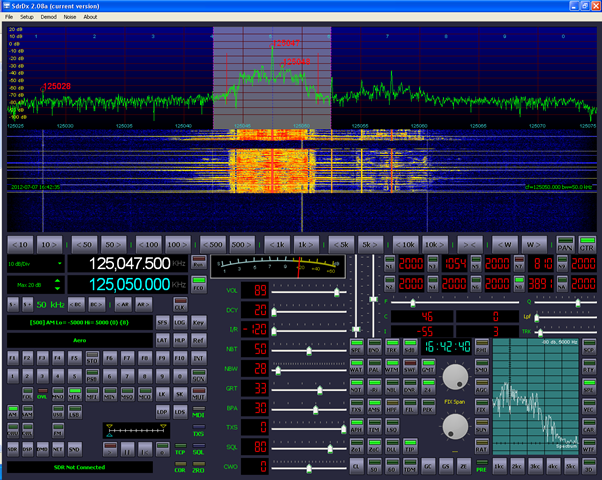 FlexRadio systems is launching new products and new improved software all the time. 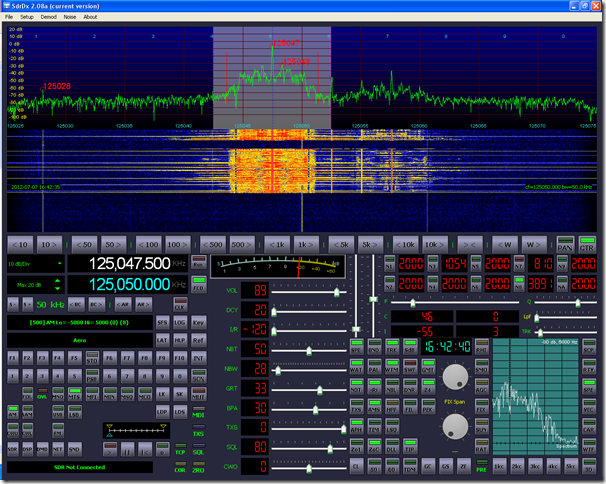 I have been following the SDR scene for several years now and experimenting with the Softrock 40 and softrock RX-TX as well as some earlier VHF SDRs has been fun. Surely great stuff! Stay tuned! 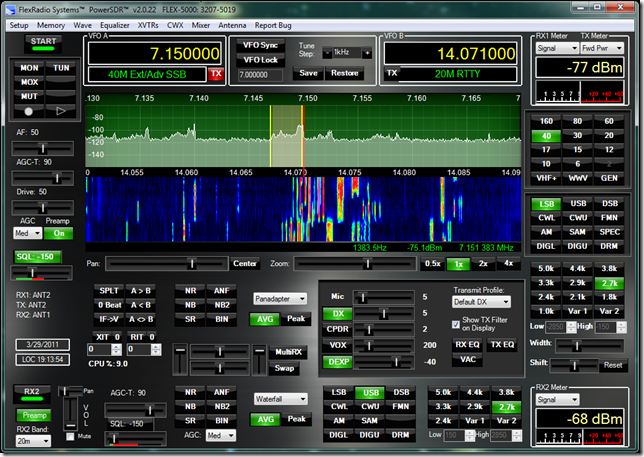 I had some problems of getting my Funcube dongle (purchased dec 2011) to work with SDR-RADIO version 1.5 build 879 (beta). 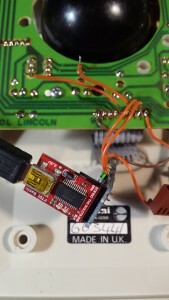 The reason was that the funcube dongle didn’t have the latest firmware. The www.funcubedongle.com webpage is a bit unclear about how to do the upgrade, so here I have written up how to upgrade the software. 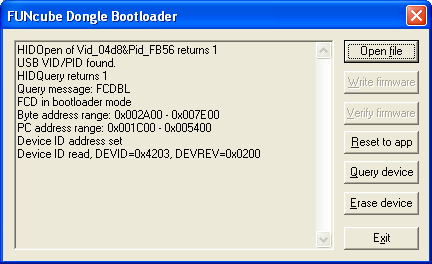 11 ) You now want to set the funcube dongle in the bootloader mode. 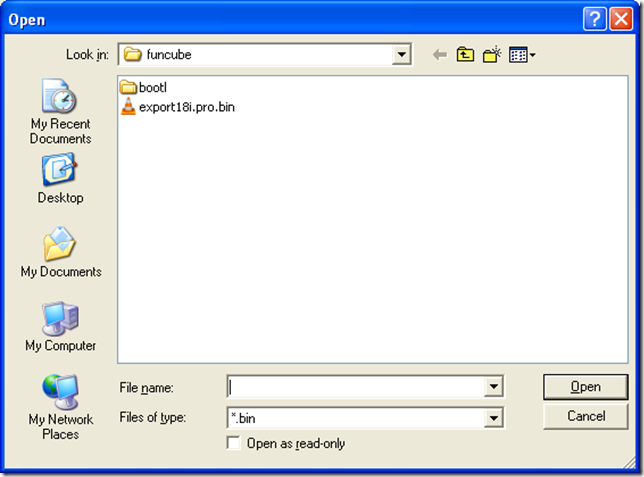 This means that the funcube is ready to boot from new software. 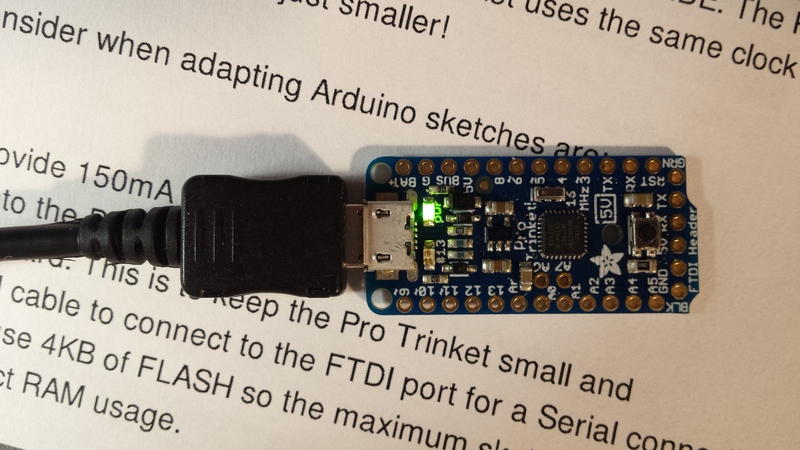 13) Download the latest firmware from Firmware v18i – Save it to the same directory as you saved the other files. NOTE per Jan 2012 this was the latest software but this may have changed when you read this !!! Check what is the latest file before you upgrade! 17 ) At this point -> if you are on a laptop make sure your laptop battery is OK or that the laptop is plugged into a AC adapter, so that you don’t risk that your laptop shuts down while you flash the firmware to the Funcube dongle. 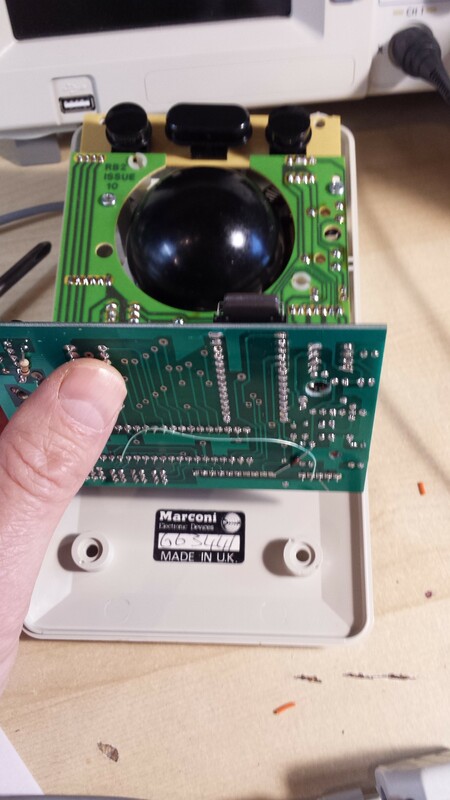 18 ) Click WRITE FIRMWARE button. 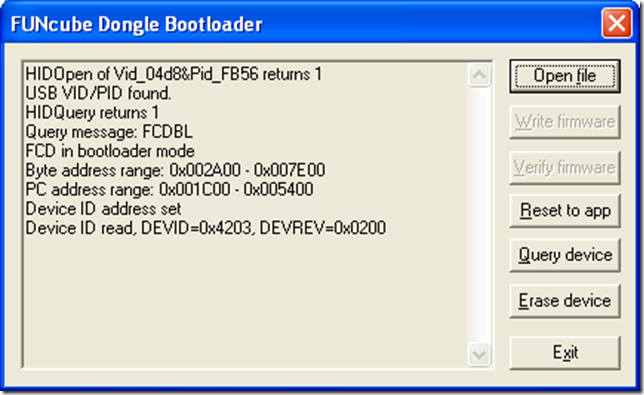 Now click RESET TO APP to get out of boot loader mode (Thanks to Jeff Murri for this tip). 24 ) Congratulations, you have upgraded to the latest firmware !